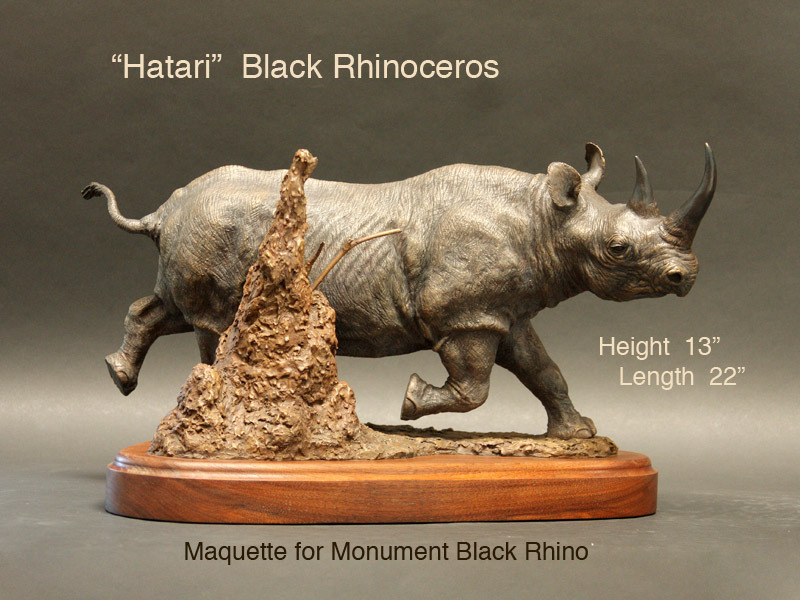 “Hatari,” meaning “Danger” in Swahili, is the perfect name for this creation, the endangered Black Rhino. There are very few left in the world today with the largest concentration in the Ngorongoro Crater in Tanzania, which Doug visits annually. This bronze rhino was originally created to support the Rhino Rescue Movement based in Europe. Also available cast in .999 fine silver.